Ladies and gentlemen, and all local music enthusiasts, welcome back to the fourth annual outing of our year-end daily local music spotlight, 100 Bands in 100 Days, where every day until December 31st, we’ll be showcasing a new band or artist on the cutting edge of the Northwest, presented by Verity Credit Union. Make sure to check the #100Bands100Days hashtag at Twitter daily to stay on top of all the bands featured, and make sure to follow Verity on Twitter and NW_Music_Scene as well. Some days the featured act could be an established and locally-adored Northwest-based musician and other times they could be a band with a small following that just hasn’t had their deserved time in the sun yet. Either way, we’re fairly confident you can come away from this daily segment with plenty of new favorites. Today’s band is a breath of fresh air, a newer face in the Seattle rock scene, but one unafraid of bucking trends and trying something new, In Aisle Eight. Seattle-via-Snohomish outfit In Aisle Eight is an alternative rock band in the truest sense of the word. The quintet is comprised of five long-time friends with a shared love of rocking hard and various eclectic styles of music, many of which turn up in the band’s free-wheeling sound. One moment you’ll be hypnotically following the groove of one of their more intense tracks, and the next they’ll be doling out the occasional bluesy number that can tend to feel more Nashville than Seattle. 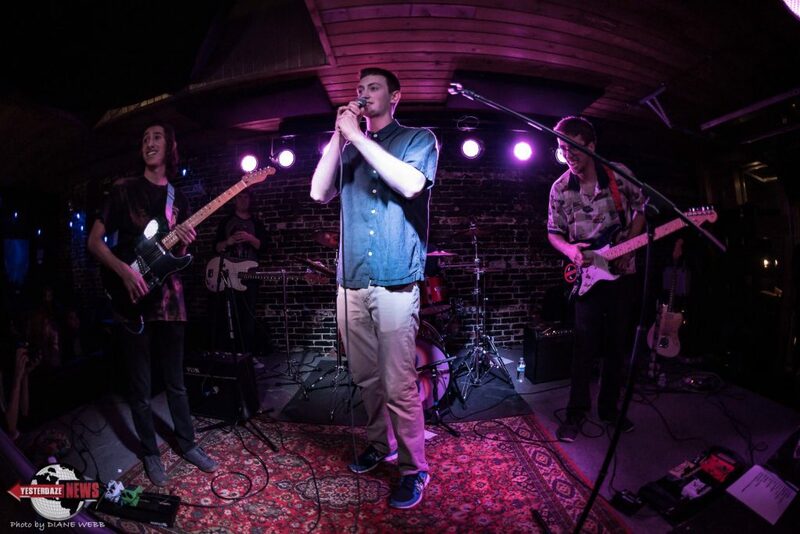 Hip hop plays a significant role in In Aisle Eight’s sound as well, with a good handful of their tracks featuring impressive, free-flowing rap verses backed up tastefully with animated guitars and fun melodies. In Aisle Eight made their first big splash in the local scene somewhat recently with In Aisle Eight, the band’s self-titled debut, but the sheer bravado of the album is impressive for such a young project. Lead guitarist Jason Abbott’s knack for infectious guitar licks lends lots of zest to each track, and the album overall has a good sense of adventure and spontaneity, with the band taking their sound to new heights time and time again. Songs like the patiently driving “Blues Man” and the punk-tinged “That’s What I’m Talking About” serve as audacious highlights, while longer songs like the nearly seven-minute “Here’s the Thing” feel looser and more experimental in nature than the catchier tracks. Listening through their short, but sweet catalog, it’s no wonder In Aisle Eight’s passionate fan-base continues to grow as the band goes along.